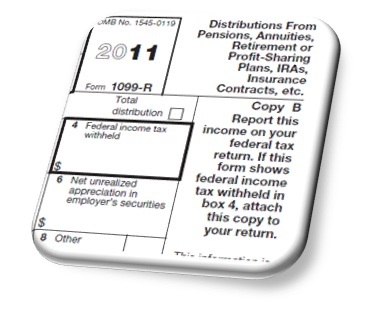 Print / E-File 1099 R & Other IRS 1099 Tax Forms. Prints on 1099-R laser forms and on blank paper. Supports 1099 R, MISC, INT, DIV, S, 1098-T, 1098, 1099 A, 1099 B, 1099 C, 1099 PATR and 1099 OID Forms. Trusted by thousands of businesses preparing 1099R. Exports IRS 1099 R forms & W2 /1099 forms to Excel. Unlimited W2, 1099 & 1099 R recipients / payers. Buy Now & Receive Instantly. Download FREE trial. BEST Value in 1099-R Software. Create 1099-R, MISC, INT, DIV & W2 in minutes. IRS Form 1099 R : Distributions From Pensions, Annuities, Retirement or Profit-Sharing Plans, IRAs, Insurance Contracts, etc. other than 1099-R. 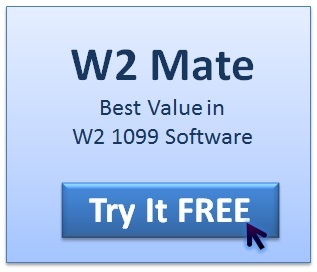 This page is dedicated to 1099-R, to read about the full capabilities of W2 Mate please visit the W2 1099 Reporting Software page. Start printing now...Order our 1099-R Software and receive instantly! 1099 R Copy B: To be filed with recipient's federal tax income tax return, when required. 1099R Copy C: For Recipient's Records. 1099 R Copy 1: For State, City, or Local Tax Department. 1099R Copy 2: To be filed with recipient's state income tax return, when required. All these form 1099-R copies can be printed on blank paper with black ink. 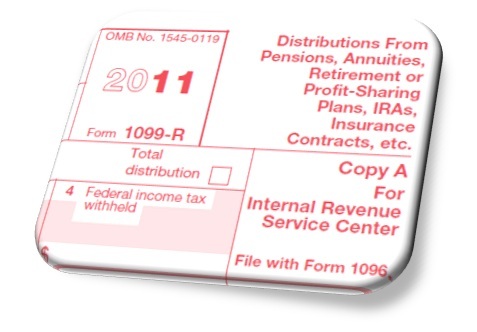 Laser Copy A of form 1099 R (1099 Retirements Laser): For Internal Revenue Service Center. 1099-R recipients, unlike other W2 and 1099 R software applications! Exports Form 1099R data to Microsoft Excel format. Helps filers meet IRS 1099 R reporting requirements. Our Form 1099 R software works on Microsoft Windows 7 (32-bit / 64-bit), Vista (32-bit / 64-bit), 2003, XP, 2000, NT, ME or 98. Upon entry of basic 1099 R recipient information, the program automatically populates 1099 R form, with data-entry screens using form replicas. Our 1099 R program, which can be installed on local workstations or networked servers, can be used either by small businesses preparing IRS 1099 R forms in-house or by tax firms managing the 1099 R compliance needs of several clients. please visit our W2 and 1099 software page. Use 1099-R software to enter the total amount of the distribution before income tax or other deductions were withheld. Include direct rollovers, IRA rollovers to accepting employer plans, premiums paid by a trustee or custodian for the cost of current life or other insurance protection, including a re-characterization and a Roth IRA conversion. Also include in this box distributions to plan participants from governmental section 457(b) plans. Generally, you must enter the taxable amount in box 2a. However, if you are unable to reasonably obtain the data needed to compute the taxable amount, leave this box blank inside form 1099-R software. Enter an "X" in this box only if you are unable to reasonably obtain the data needed to compute the taxable amount. If you check this box, leave box 2a blank. If any amount is taxable as a capital gain, use form 1099R software report it in box 3. Use software for 1099r to enter any federal income tax withheld. Enter the employee's contributions to a profit-sharing or retirement plan, designated Roth contributions, or insurance premiums that the employee may recover tax free this year (even if they exceed the box 1 amount). Use this box if a distribution from a qualified plan (except a qualified distribution from a designated Roth account) includes securities of the employer corporation (or a subsidiary or parent corporation) and you can compute the NUA in the employer's securities. Enter the appropriate code(s) in box 7. Use the Guide to Distribution Codes on pages 13 through 15 of the 1099-R instructions on the IRS website to determine the appropriate code(s) to enter in box 7 for any amounts reported on Form 1099-R. If this is a total distribution and it is made to more than one person, enter the percentage received by the person whose name appears on Form 1099-R. You need not complete this box (inside IRS 1099R Software)for any IRA distributions or for a direct rollover. Enter the amount of the distribution allocable to an IRR made within the 5-year period beginning with the first day of the year in which the rollover was made. 1099-R Box 11. 1st year of desig. Roth contrib. 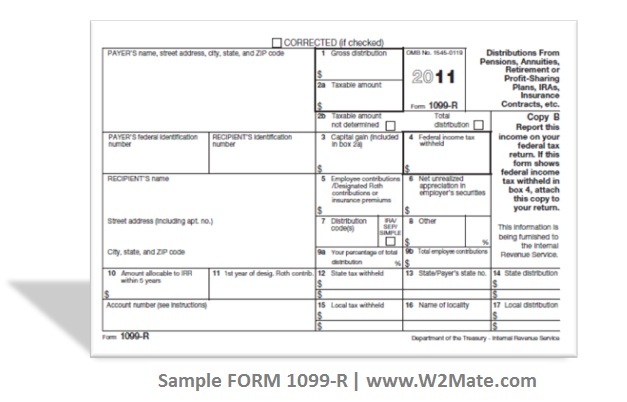 Software for 1099-R Reporting: Who Gets What Copy of Form 1099-R? IRS Form 1099-R Copy A: For Payer to file with Internal Revenue Service. IRS Form Copy B: For Recipient to file with their Federal Income Tax Return. IRS Form Copy C/ State: For Recipient's Records and/or State, City or Local Tax Department. IRS Form Copy D: for Payer and/or State, City or Local Tax Department. Ready to print and E-file 1099 R forms? Download a free demo of our 1099 R software now , enter actual recipients and see for yourself how easy and powerful this software is (make 1099 R in minutes). Although Intuit QuickBooks Accounting software only supports forms 1099 MISC, our 1099-R preparation software allows QuickBooks users import 1099 data and then map it into 1099-R forms with the ability to specify which box the money amount goes to. For example the user can remap QuickBooks 1099-MISC amounts stored under 1099-MISC Box 7 (Nonemployee compensation) into 1099-R Box 1 Gross distribution. Once the QuickBooks data is imported as 1099 R inside our program, it can be modified, printed to laser 1099 R forms, printed on regular white paper or electronically filed with the IRS (QuickBooks 1099 R Electronic Filing).